YouTube’s co-founders Chad Hurley and Steven Cohen have created what looks like to be their next success, named MixBit. Challenging video creation and editing apps Instagram and Vine, MixBit gives users a completely new editing functionality that video apps have yet to bring. Instagram, owned by Facebook, and Vine, owned by Twitter, have been in competition with one another since Instagram rolled out its video features earlier this year. However, YouTube wants everyone to know that it is not a force to be reckoned with and created MixBit, an iPhone and web app. The YouTube founders stated, “We started YouTube to make it easy for everyone to share videos. Now we want to help people make great videos,” on their iPhone app listing. So now the question contends – what makes this app any different from its predecessors? Let us overview the features of Vine and Instagram first, to give you a more perceptive insight on the differences. Vine – Video editing app/social network that allows its users to create six-second videos. Pressing a button, Vine users can record a snippet from their camera. Releasing the button stops the recording process and allows them to record other clips until they reach their six-second recording time. They can then make a caption and post it to their walls. Due to the six-second recording time, users are forced to be creative and prompt with their videos. Instagram – Originally a picture-only editing and social networking app, Instagram created a video editor in April of 2013. 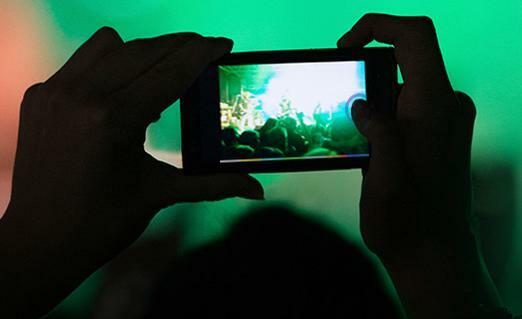 Users can record up to 15-seconds of video, creating clips in a similar way to Vine. After recording, users are taken to a new screen where they are able to pick a filter for their video. The next screen after filter selection is the still-frame choice – which allows users to scroll through their video and pick a perfect still-frame for their video. Now that the dynamics of Vine and Instagram have been described, let’s take a look at the features that make MixBit a strong contender. 16-second video clips – giving users a 10-second extension over Vine and 1-second extension over Instagram. If users are into making and watching larger clips, MixBit will be the app to go to over its predecessors. Clips do not have to be your own –Instagram and Vine users are not able to utilize existing video, as everything recorded has to be straight through the app. However, MixBit does not have the same restrictions. Any video that was published publically can be used as part of one of your clips. That is there the name “MixBit” came from – allowing users to view, collect and mix other videos. Longer videos – While also a pro, longer video time can also be a con. Shorter videos of lackluster content are more bearable than long videos of it (not all videos are going to be 5-stars to everyone, after all!). If you are a motorcycle lawyer making a promotional video for your company, short and sweet is still probably the better option. Too close in design to YouTube – MixBit, while creative, resembles YouTube pretty strongly. In use, it feels a lot like using YouTube but cutting every break into a separate video. YouTube’s current users will probably stick to it, but others might prefer the MixBit style and interface. While MixBit is creative, there is wonder how this app will do on iPhone – and if this will be another money-maker for the YouTube founders. Through the months, users will decide their feelings on it – some positive and some negative. Check out the free YouTube Video Downloader tool, you can download and transfer interesting YouTube videos to computers and iPhone/iPad.